Toward the end of the First World War, as Canadian troops were involved in Canada’s Hundred Days, a new enemy—even tougher than the Kaiser’s Germany—attacked soldiers and civilians alike, ignoring borders. In just a few months, the 1918 influenza epidemic spread around most of the world, reaching pandemic proportions. It became known as the “Spanish flu” because Spanish journalists, not subject to wartime censorship, were the first to report publicly on the epidemic in Europe. Historians are divided on the precise origin of the 1918 influenza outbreak. However, they do agree that the rapid spread of the disease was hastened by the presence of large numbers of soldiers in military camps, which became excellent incubators for the virus. Soldiers returning to their home countries intensified the spread of the disease. 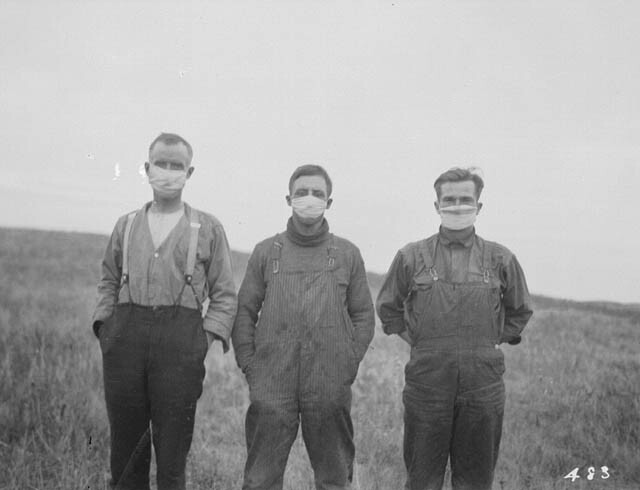 The first serious flu cases in Canada occurred toward the end of summer 1918, while the First World War was still raging. Port authorities in Halifax and Québec, where ships docked bringing home the wounded and the ill, noted the first cases and warned federal health officials about the situation. Federal authorities quickly carried out medical examinations of passengers on ships travelling from Europe. They quarantined people who showed signs of influenza. Essentially, the officials tried the same measures that were used in the 19th century to deal with cholera epidemics. However, sailing ships had given way to ocean liners carrying thousands of soldiers to the war and back. Canada’s four quarantine stations could not halt the progress of the epidemic, despite the best efforts of the doctors trying to contain it. By autumn 1918, influenza was racing through the population like wildfire. Hospitals quickly became overcrowded and were hard pressed to receive more patients. 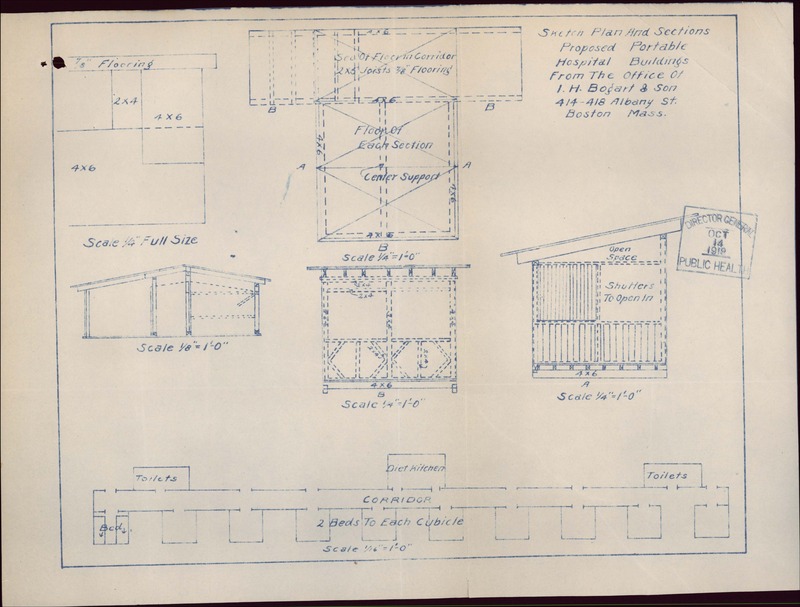 Many people were therefore cared for at home or in temporary facilities, such as mobile military field hospitals. Overworked medical personnel were also hit by the flu themselves. This meant that relatives or friends were often called on to care for the sick, which contributed to the spread of the disease. However, the number of deaths was soon growing so rapidly that there was even a waiting list for… cemetery burials. Across the country, health officials put regulations in place to try to stop the spread of the devastating outbreak. Schools, theatres, libraries and, in short, almost all public places—sometimes even churches—closed their doors. Many people wore masks to try to protect themselves, and anyone who dared to spit was strongly reprimanded. This was because, despite the fact that the epidemic could not be stopped, people knew it was influenza and the virus spread from person to person through the air. Over several tragic months, the Spanish flu claimed the lives of more than 20 million people around the world, including some 50,000 in Canada—almost as many as died in the four years of fighting during the First World War. Federal health officials were heavily criticized for implementing outdated and inadequate quarantine measures, and for their lack of vision and leadership. After taking stock of its ineffectual actions during the influenza pandemic, the federal government created the Department of Health in 1919. Records related to this tragedy can be found at Library and Archives Canada. More information is available in our thematic guide on the Spanish flu epidemic. Marcelle Cinq-Mars is a senior archivist in Military Affairs, Government Archives Division, at Library and Archives Canada.